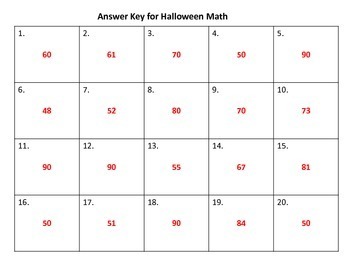 Halloween fun and math skills wrapped into one activity. 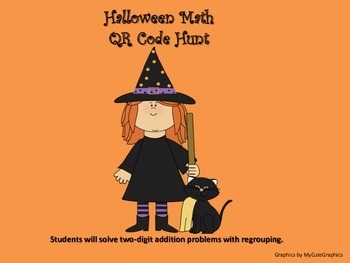 This QR Code Math Hunt enables the students to solve 20 math problems using two-digit addition with regrouping. The students use a QR Reader to scan the codes. Each of the 20 QR codes have a problem embedded in it. The students write down the problems, solve the problems and check their answers with an answer sheet. This can also be used as an assessment. 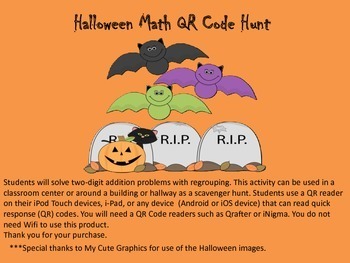 Students are thrilled to use this engaging activity with the use of a QR Code reader on their Android, iPod Touch device or iPad.This scavenger hunt type activity can be used in a classroom math center or spread out around the school or in a hallway. There is an answer key included with this product. I have included two different answer sheets to use as recording forms. i-Nigma, or the QR Reader from TapMedia to read the Quick Response (QR) codes. You do not need Wifi to use this product. This is a very engaging math activity or assessment for students. 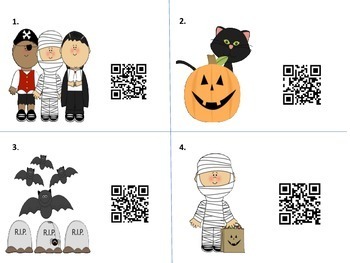 Students love using QR codes! Please check out my store for other products using QR Codes!